Each morning, I follow a fairly simple routine. It truly is nothing out of the ordinary, at least not me, and it is one I’ve come to adapt to. Both during and after breakfast, NBC’s The Today Show is my companion. 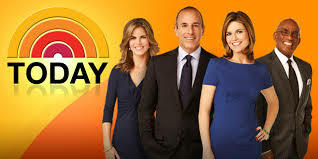 Throughout the course of several years, I’ve come to know the hosts, Savannah Guthrie, Matt Lauer, Dylan Dreyer and Al Roker as though they are my close confidantes, turning to them for both breaking and lighthearted news. Their interactions, true passion for journalism and news is captivating and leads me to trust to them, turning to them for a daily synopsis of the latest happenings. With that being said, I took note of the commercial airing last night as NBC’s Nightly News with Lester Holt, briefly detailing the exclusive live interview set to take place tomorrow (this morning) with Bob Harper, the renowned personal trainer, star of The Biggest Loser, and frequent guest on talk shows such as The Rachael Ray Show. While I’ve never been that much of a fan of Harper‘s, his recent heart attack caught my attention. When I first learned of his heart attack, I was in shock and disbelief. How could someone so fit, so into health and fitness, with such knowledge and awareness suffer something as potentially-devastating and life-threatening as a heart attack? Often times, as you are probably aware, when hearing of a heart attack, it is quickly attributed to poor health and eating habits, weight or obesity, perhaps family history, lack of self-care, etc. Of course, with that being said, naturally, there are an assortment and vast array of other contributing factors not related to any of the aforementioned risks. For me, hearing about how important it is know one’s health and to really take note of the feelings, both physically and emotionally one experiences, truly resonated with me. There is nothing more important, in my mind, than paying attention to one’s body, no matter how subtle those “signals” or “feelings,” may be. In my mind, it is always worth it to pursue those sensations, those little pains that may seem so small and insignificant. Even though they may be benign or of little concern, it is still worth it to be proactive and to be an advocate for oneself. His interview with Savannah today was eye-opening. For me, I cannot even begin to explain my own experiences with health and how important it has been throughout my life to trust my body. Those personal experiences have led me to encourage family, friends, acquaintances and whomever I may cross paths with, including those who might be reading this today, to really take the time to listen to yourself. No worry or concern is really ever too small, it is worth it to be considered and if you find you are nervous or afraid to reach out and question doctors or professionals on your own, I encourage you to ask for help, ask for someone to accompany you to those appointments to help you ask those questions, or to serve as a reminder, or even as a support, just being there physically present FOR YOU. Whether that person is a family member, a friend, a neighbor, an acquaintance, if it provides you with the support, confidence and reassurance you might need to be proactive with your health, then I strongly encourage you to ask for that help and for that hand. Sometimes a helping hand and a listening ear may be all we need to get us to where we need or want to be. I’m truly grateful for the interview between Savannah Guthrie and Bob Harper today, for it’s shear honesty, truth, and imperative message of self-care and personal health maintenance with the take-away message being prevention is key. Your health is worth it and YOU are worth it – worth the time, the energy and compassion. Take care of you, because you deserve health and happiness. My excitement at this moment is literally palpable! I could not let a day pass (or a moment, rather) without mentioning the upcoming revival of my beloved TV series I grew up with – Full House! Yes, if you haven’t already heard, last night on Jimmy Kimmel, John Stamos officially confirmed Full House WILL be returning to the small screen as soon as next year! Apparently, 13 episodes have already been ordered by Netflix. Of course, while I am extremely excited about this, the only problem is – I don’t have Netflix.. though, now that Full House will be appearing on it, I just might have to investigate a subscription, even if just to watch the show. If you’re like me, perhaps you grew up with the show. It’s a show that brings back waves of nostalgia. There is something special about it, no matter how “cheesy” or unrealistic it may have been. It is comforting to watch the characters Uncle Jesse, DJ, Stephanie, Michelle, Danny, Aunt Becky, etc and have them feel as though they are family to me. Even to this day, I’ll still watch when it airs on Nick at Nite on TV, despite owning every season on DVD. It’s the type of show I have to stop and watch and relive each moment. 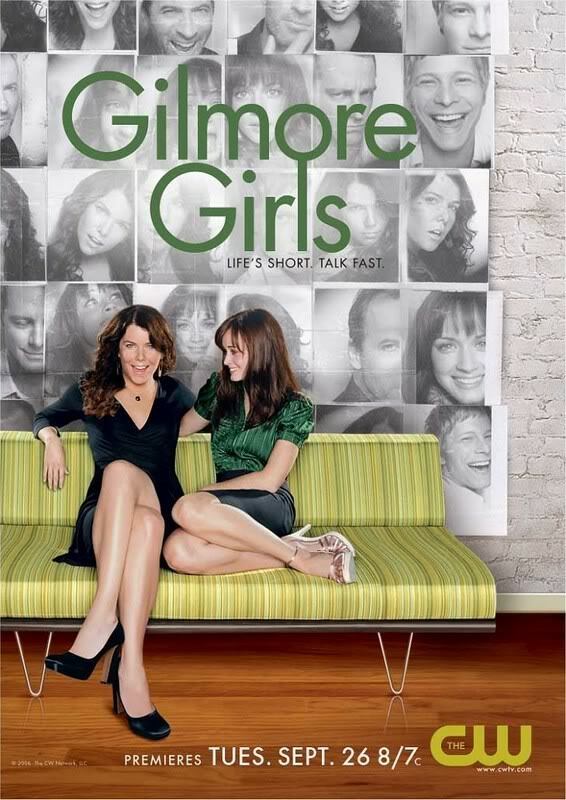 Sometimes, I even remember exactly where I was when specific episode first aired or I can recite several lines from the show. Along with Saved By the Bell, Full House more or less defined my childhood and is one I will always look back on fondly. The revival of Full House obviously is slated to be different than the original, with DJ now widowed, with two children (a 12 and 7-year-old and is currently expecting another!). She moves in with her sister, Stephanie, now an aspiring musician and her best friend, Kimmy, who is now a mother of one daughter, herself. The show will be an hour long and produced by John Stamos, who will make the occasional guest-appearance, reprising his role as Uncle Jesse. It was reported by Stamos that they are currently attempting to bring in as many original cast members as possible, with Bob Saget, the Olsen Twins, Dave Coulier (Joey), and Lori Loughlin (Aunt Becky) still in talks to join. It is my hope they will be able to secure the other cast members. I think it would be a very interesting dynamic to be able to see all of them together again after so many years. Of course, they do have a legacy to preserve (Saget mentioned this very phrase when he was a guest on The View last week). I couldn’t agree with him more, though. It’s been 28 years (can you believe it?!) 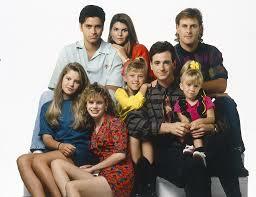 since Full House first hit TV screens and is still watched and highly regarded today. Though I may be wrong, I have an inkling that this new version will be just as impressive as the first and I couldn’t be more thrilled or excited about it! John Stamos revealing Full House revival plans last night, on Jimmy Kimmel. It is my sincere hope and wish that the revival will do well. In a fast-paced, ever-changing world, it is refreshing to have a bit of childhood back again, even if it is slightly different; I can hear the Full House theme song already! Good Thursday morning to you! I hope your week has been a pleasant one, thus far. So I thought today, a post would be in order to brief you on some of the items (i.e. 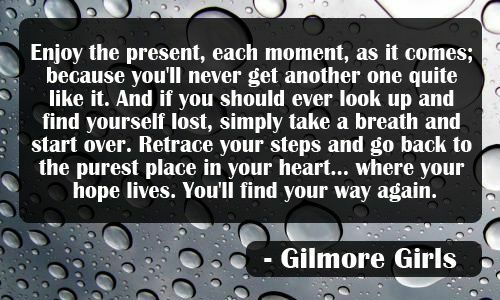 foods, clothing, books), TV shows, etc, that I’ve currently been enjoying or, conversely, aspire to enjoy someday, very soon! For about as long as I can remember, fashion has always been a deep interest of mine, especially when it comes to shoes and accessories. Though, fashion of all kind is definitely a source of creativity for me and I am open to most prints, designs and colors. Recently, I learned one of my favorite department stores, Kohl’s, will be welcoming a new line of clothing items and accessories by one of their beloved designers, Lauren Conrad (LC). As you might already be familiar, LC welcomed her Cinderella-inspired line of clothing, due to the recent release of the live-action movie in theaters. Well, she is following suit with another beloved character line and this time, it is the much-loved, Minnie Mouse! Yes, you heard me right – Minnie Mouse! Her line is expected to be lighthearted, easygoing and friendly, and appeals to all ages – from a true child (by chronological age), to a kid at heart! 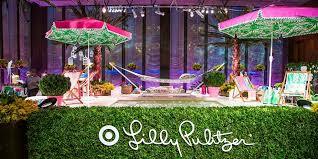 One of my other favorite stores, Target, will also be introducing a new line of clothing by long-time loved designer, Lilly Pulitzer! Though she is often regarded as a “higher-end” designer, her line for Target is expected to be much more affordable, without sacrificing on the quality and style she is noted for. For me, personally, I am extremely excited to see this new line at Target, as I’ve never purchased any of her items. 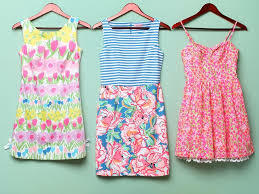 I absolutely love all the colors and prints; they are very appropriate for the spring and summer, or really, anytime of year and provide color and a personality to whatever one is wearing! Look for it at your local Target on or around April 19th! I just love the lace detailing on these! The lace, in my opinion, really adds style and personality. Plus, I love that it has a sophisticated, dressy look that can easily go from day to night. 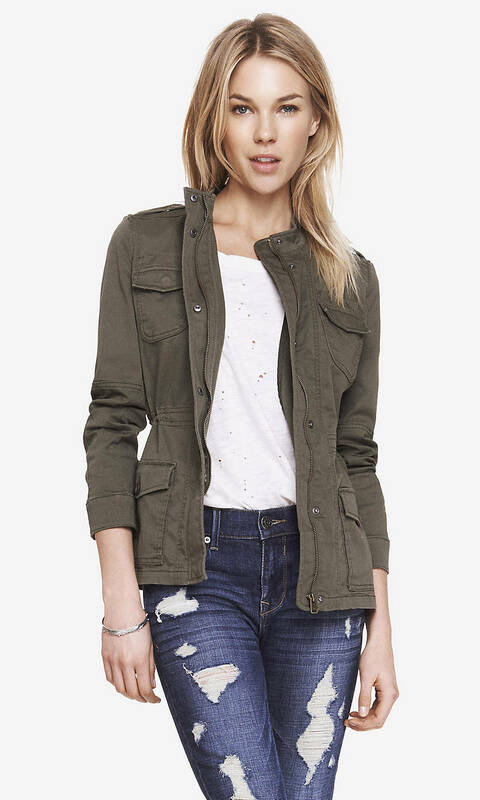 Also from Express, I spotted a Spring-style jacket, that I think would pair well with many outfits. The only caveat is that I believe it is only available in one color – Green, which is decent, but wouldn’t really match with everything. All the same, I love the style and hope to emulate it this season! Red Velvet; Blueberry; Strawberry; Lemon; Plain; Cherry; Pineapple; Peach; Vanilla Bean; Sea Salt Caramel; Bananas Foster; and Mint Chocolate! They aren’t available yet in all locations, but they have a nifty product locator on their website to help with your searching and an option to order their products online, to be conveniently delivered right to your home! I’ve been desperately longing to try Elli Quark, so online ordering for me may be on my radar… early birthday gift, anyone?! 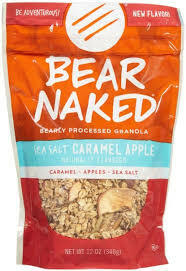 Another product which recently caught my eye while shopping is a new granola flavor by the brand, Bear Naked Granola! As a company with wholesome, natural ingredients, plus recyclable packaging, they are a company I feel exceptionally comfortable and excited to purchase! Plus, one of their latest flavors – Sea Salt Caramel Apple, sounds absolutely incredible! Yum! As I’ve mentioned many times in the past, books are a frequent staple in my life and a source of comfort. I have a whole rotation of authors I currently love and follow, but am always open to new ones and the latest talent. I’m always in such awe of the prose and writing style of the authors I read and am impressed by their skills, ability and tact and the way they are able to provide such emotionally-riveting words. A an author I recently discovered (though definitely not new to the writing community; she is already well-established and has a healthy following) is Jane Green. Since discovering her only a short time ago, I’ve already read several of her novels and look forward to reading more in the near future. I also follow her on social media and love to see all the interior decorating and cooking she does in addition to her fiction-writing. I highly recommend her, if you haven’t already read her before. 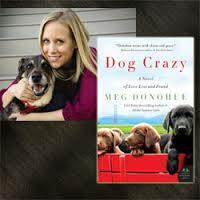 Another author I’ve been following and reading is Meg Donahue. 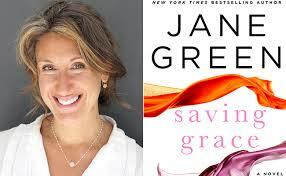 She is very personable, likable and her books always capture my attention. Her newest novel, Dog Crazy is an excellent book for those who have weathered through a host of emotions, whether you’re a dog owner or not. 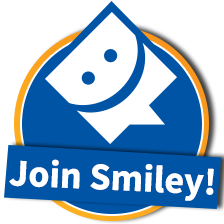 Check it out, I’m sure you won’t be disappointed! 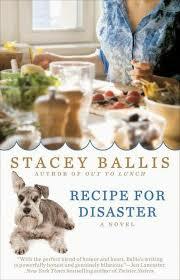 Currently, I am reading a novel by Stacey Ballis, one of the newest authors I’ve discovered. Though I still have a way to go with her novel, Recipe for Disaster, I am enjoying it and look forward to traversing through. One day, a couple weeks ago, while lounging around the house, my mom and I were flipping through channels, curious about what would actually be on, given it was a random Sunday afternoon. Suddenly, we stumbled across HGTV, a channel I haven’t watched all that much with the exception of House Hunters, about once or twice. Reading the description for a TV Show called Beachfront Bargain Hunt, I was intrigued and decided to try an episode and see what I thought. Well, ever since first taking in an episode, I have been hooked! 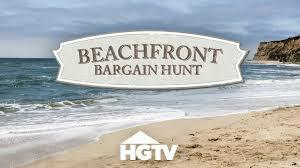 It’s been filling up my DVR now for weeks straight and I always look forward to seeing what new beach homes various families and people will be looking for. Every episode is a new location and a new family, so it feels like the first time, every time I view it! Also, as I mentioned yesterday, I recently made the morning transition over to watching NBC’s, The TODAY Show from ABC’s Good Morning America. I find a lot of the anchors and reporters much more personable (especially Hoda Kotb, Kathie Lee, Tamron Hall, Al Roker, etc). I love their banter and personality and how well they bounce ideas and thoughts off of one another. They also aren’t afraid to voice their true opinions, no matter the backlash they might experience. They don’t shy away from the limelight, which is truly inspiring to me. 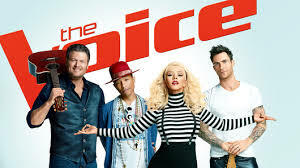 I’m also so glad The Voice is back, especially with judge, Christina Aguilera! Her voice is just exceptional; it always has been and I’ve been a fan of hers since my childhood. Also, I think she is an excellent judge and mentor and provides great guidance and support to the contestants on the show. She goes well with new judge, Pharrell Williams. So there you have it, just a brief sampling of what is currently “on my radar!” Have a good Thursday!